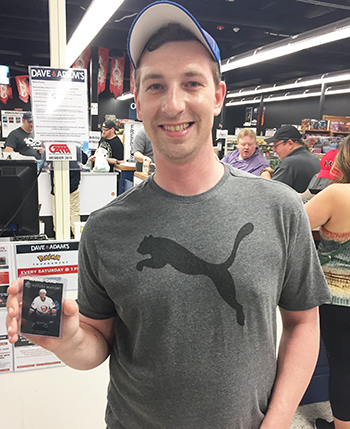 Upper Deck Night at Dave & Adams Superstore was a big hit last week. 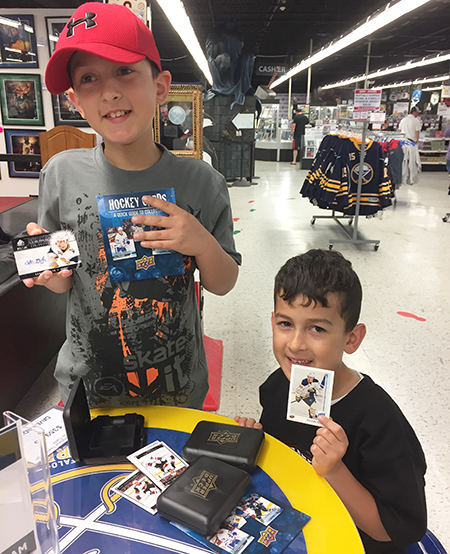 Over 100 fans showed up over the course of the evening and they were greeted with a special black box with a Buffalo Sabres insert card, a special rookie pack and an Upper Deck Jack Eichel insert card. 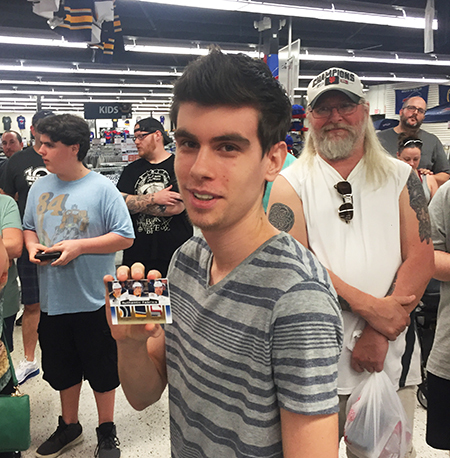 Customers also received a raffle ticket upon entry that would be good for premium items later on in the evening including a Draft badge signed by Sabres prospect; Casey Mittelstadt. 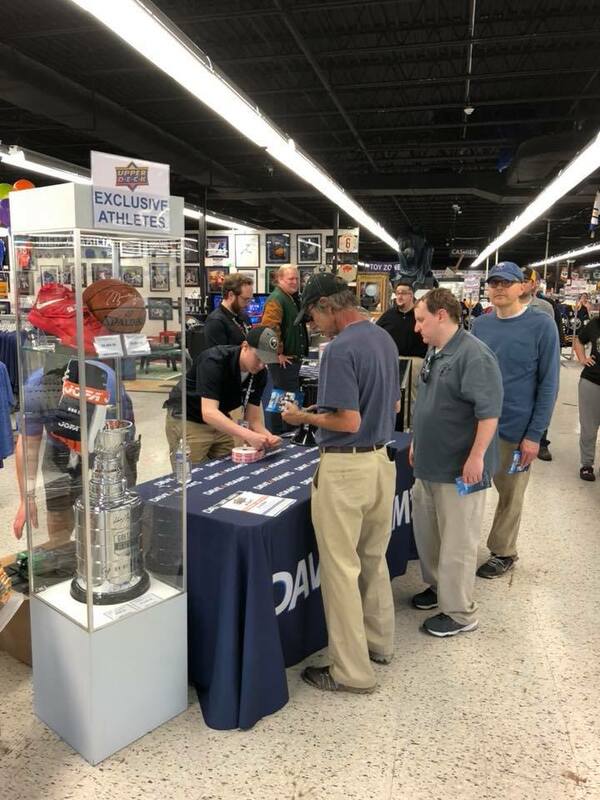 If you’ve never been to this shop, it is quite amazing with over 40,000 square feet of collecting greatness for sports, entertainment, memorabilia, comics, gaming and more. 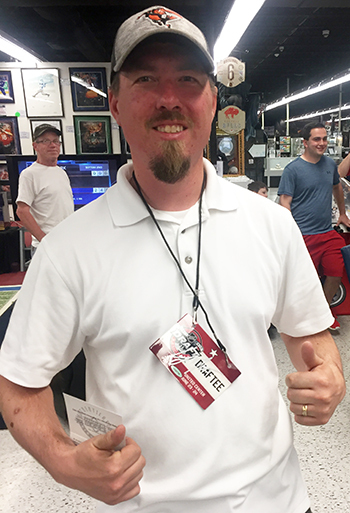 They have a lot of engaging activities for fans to experience as well, it is like an amusement park for collectors. 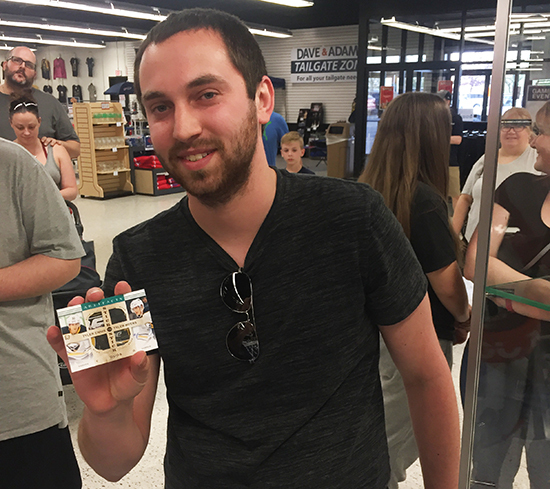 You could spend a whole day at the Dave & Adam’s Williamsville Super Store location. 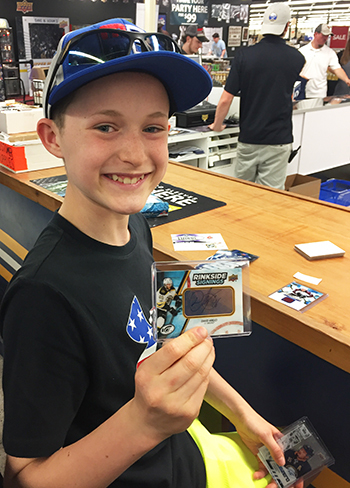 Fans enjoyed checking out the spacious venue and chatting with other collectors while sampling some of Upper Deck’s latest hockey offerings to start the evening. 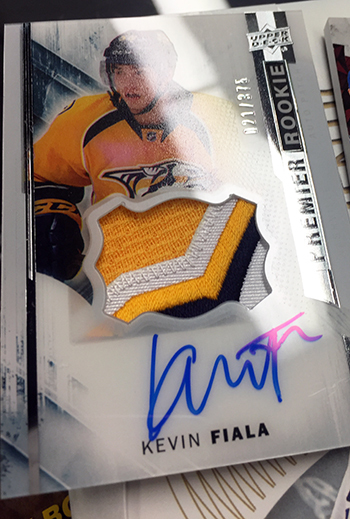 The latest SP Authentic release was a popular product as it had just released a day earlier. 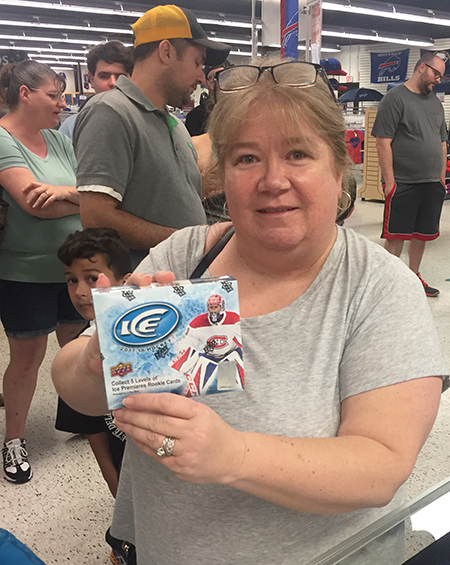 Collectors also enjoyed opening up 2017-18 NHL® ICE. 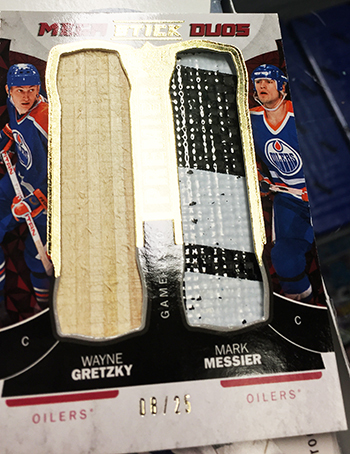 Upper Deck’s high-end release of Premier brought some real heat as one lucky collector scored these two cards from a pack. 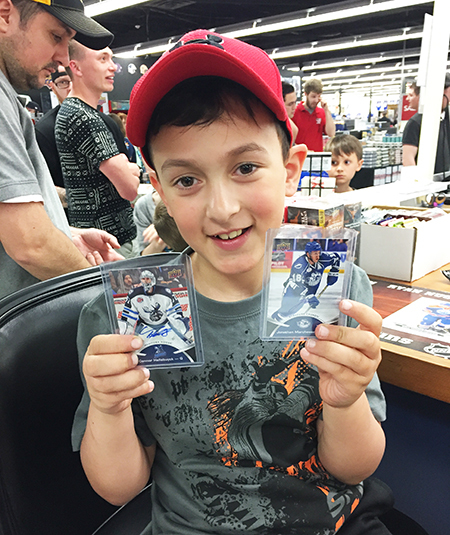 Fans of prospects seemed to enjoy 2017-18 Upper Deck AHL and some of the cool autograph cards found within. 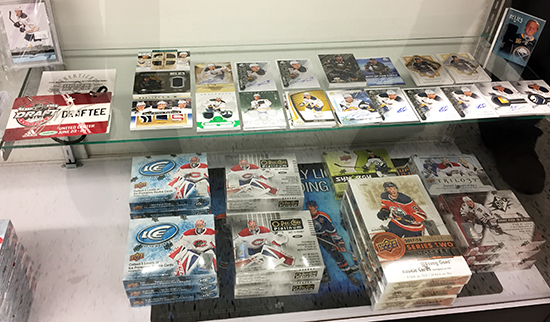 Fans in attendance could score a variety of prizing in for form of insert cards, memorabilia cards, autograph cards and sealed hobby boxes. 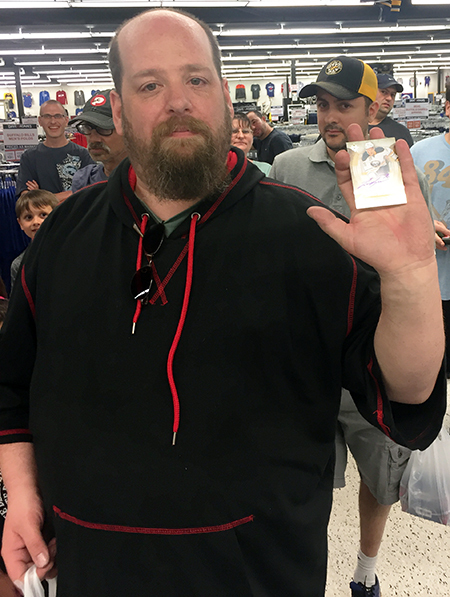 The fan who scored the Mittelstadt autographed Draft Badge immediately put it around his neck in celebration. 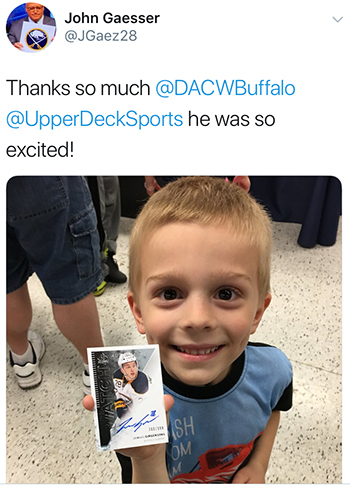 This youngster was one of our favorites sharing his appreciation for Dave & Adam’s after he won an item from Upper Deck. Kids definitely scored throughout the evening. 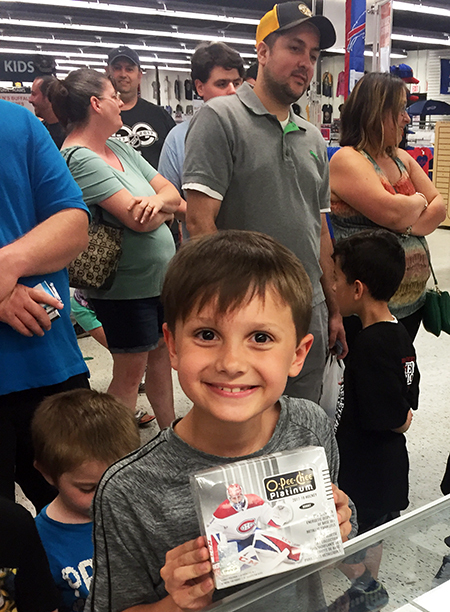 It was great to see so many smiles from the next generation of collectors. 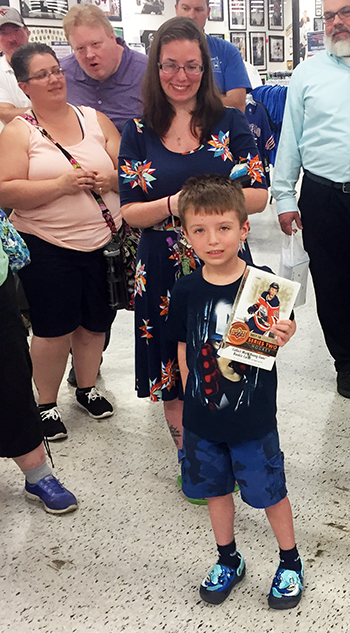 Upper Deck provided guides on collecting to kids to help these youngsters learn more about the fun of the hobby! 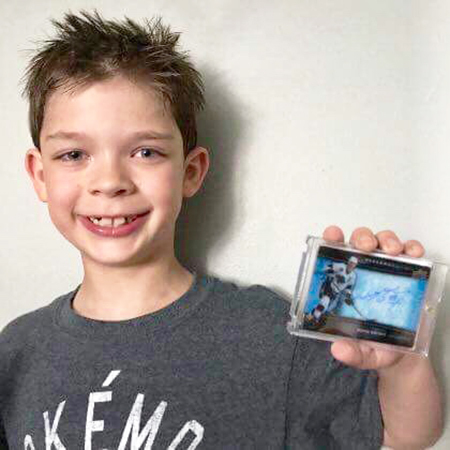 One youngster who won a 2017-18 NHL® ICE box scored an autographed Wayne Gretzky card when he got that home and opened it up! 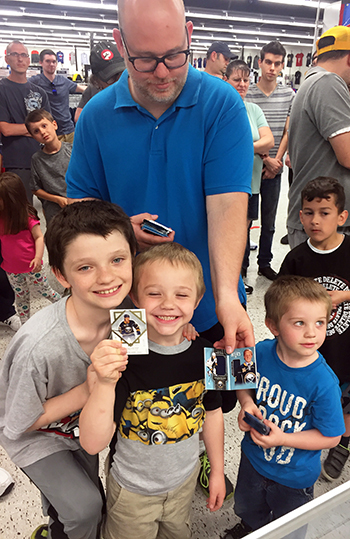 Everyone in attendance was excited to see Upper Deck and Dave & Adam’s giving back to fans. 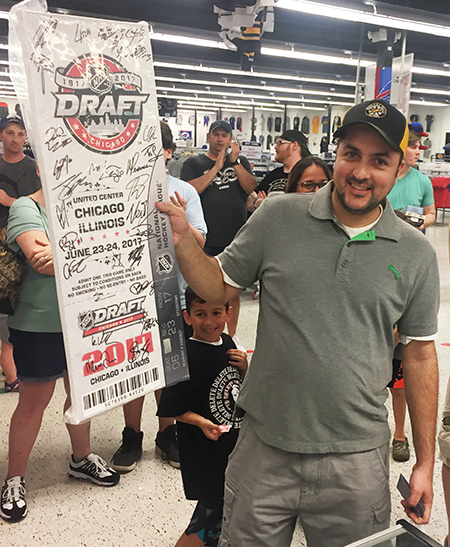 The grand prize winner scored a blow-up 2017 NHL® Draft ticket signed by every first round pick. To say he was thrilled was an understatement. 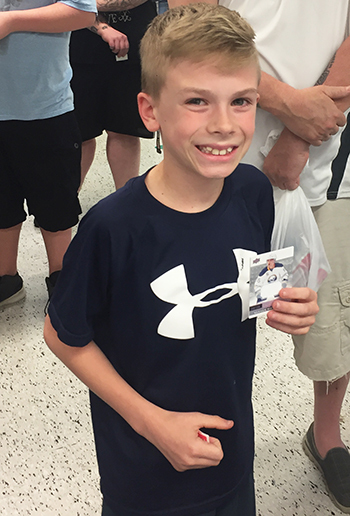 Thanks to all the fans that came out to support Upper Deck night at Dave & Adam’s. With the Sabres holding the #1 pick in the 2018 NHL Draft™, the future is bright in Buffalo!